It’s time to start recommending Bollywood to you. 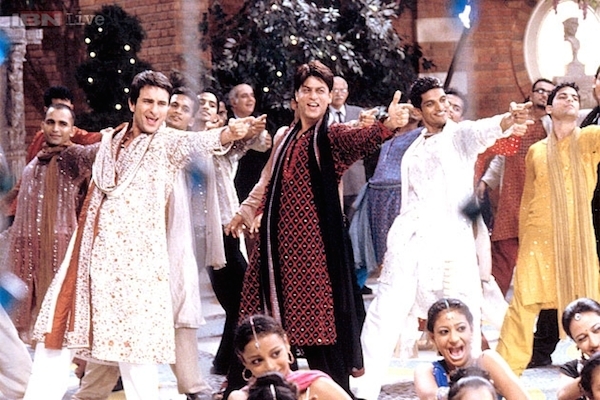 Kal Ho Naa Ho is an excellent starting point for Bollywood – it’s got high production values, and a star-studded cast (if you know your Bollywood stars). Shah Rukh Khan is arguably the biggest movie star in the world, if you go by number of people who know his name. Preity Zinta is his love interest. There are complications, and dance numbers, and a lot of drama. It’s Bollywood, and Bollywood means a little bit of everything – comedy, drama, hijinks, slapstick. I recommend watching with subtitles since I do believe a lot of the emotional nuance gets lost with dubbing – and the Hindi language is just so beautiful. You get a two-fer of foreign films this week! Hausu is one of the strangest films I’ve ever seen in my life, and as you know, I’ve seen some pretty strange stuff. This Japanese haunted house movie from the late 1970’s involves seven young girls who visit a rural house for a vacation. Of course, the house is possessed. Director Nobuhiko Ôbayashi wanted to make a movie that tapped into primal fears, so he asked his own young daughter about what frightened her, and then put that on the screen. The result is both weirdly stylish and downright surreal. If you can, track down the Criterion Collection release of this film — the restoration is beautiful.